PowerPoint 2007 themes. 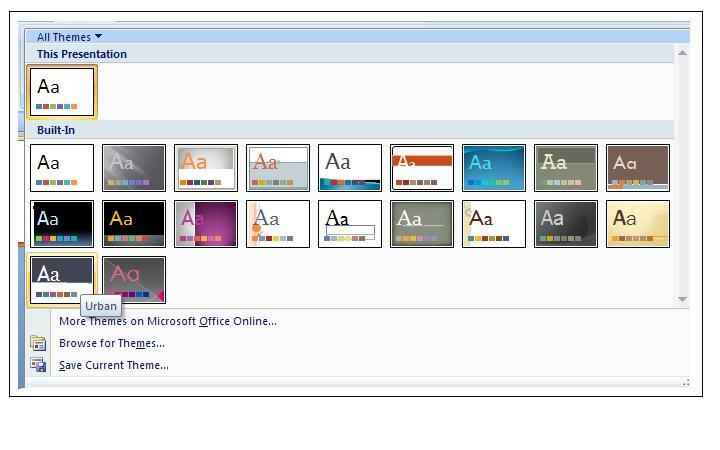 The themes are sorted alphabetically; however, the default Office theme is usually first in the list. When you choose a theme, it shows at the beginning of the list. I clicked the Themes More button on the Design tab to display all the themes you see here. The Urban theme is selected in the first column, last row.